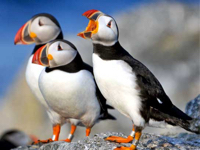 Nestled in the Pembrokeshire Coast National Park there are numerous sublime walks right on your door step: Whitesands is a short walk down the lane where there are great views across the Sound to Ramsey Island. Feeling a bit more adventurous then head up to the top of Carn Llidi and take in this fantastic view. and watch the sun go down either from your pitch, on the beach or from the top of Carn Llidi. 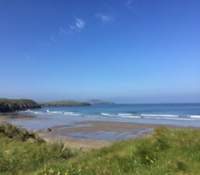 Dunes offers easy access to Pembrokeshire’s award winning Blue Flag Beach. Probably one of the best beaches in the world. Whitesands beach is a large open bay bounded to the North by the remote rocky headland of St Davids Head and overlooked by the imposing craggy hill of Carn Llidi. In addition to Whitesands there are numerous secluded coves easily reached on for from Dunes campsite. 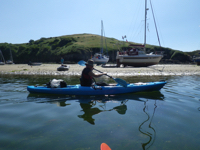 Kayaking is a great way to taste the Pembrokeshire coastline. TYF in St Davids can fix you up with a kayaking trip. A few miles from St David’s, it boasts a bustling quay with plenty to do and a charming High Street with cafes, craft shops and galleries. 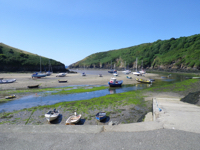 There’s easy access to Pembrokeshire’s award winning Blue Flag Beaches, and sublime walking both on the Pembrokeshire National Coast Path and inland in the secluded valley. 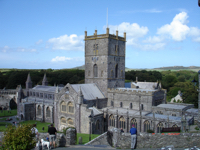 St David’s Cathedral and The Cafe's – St David’s is the smallest city in Great Britain, but wow its big on Character ! A great day exploring one of the richest historical sites in Wales. Then to round it off one of the areas best restaurants or cafe galleries that offer excellent food. If you have time for a short game of golf during your holiday why not pop over the road for a game. Lovely views of the sea from the cliff top fairways makes it very worth while. Not a very difficult course and no real tricky holes. An honesty box gives you the freedom to play at any time.